Works council, an association, a hotel? We reserve you special offers and benefits! For your events, this medieval fortress, miraculously spared by the meanders of history, the oldest monument in Brest. Crossing towers and curtain walls, the museum offers magnificent views of the harbor, military and commercial ports and the Penfeld River. Special offers and benefits: ticket presale, group visits. 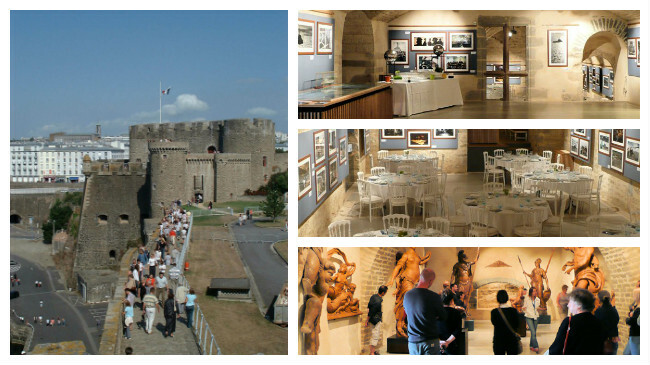 The museum spaces offer a place of original receipt at the heart of its collections and the medieval castle. rich collection of thousands of images and using the iconographic research.